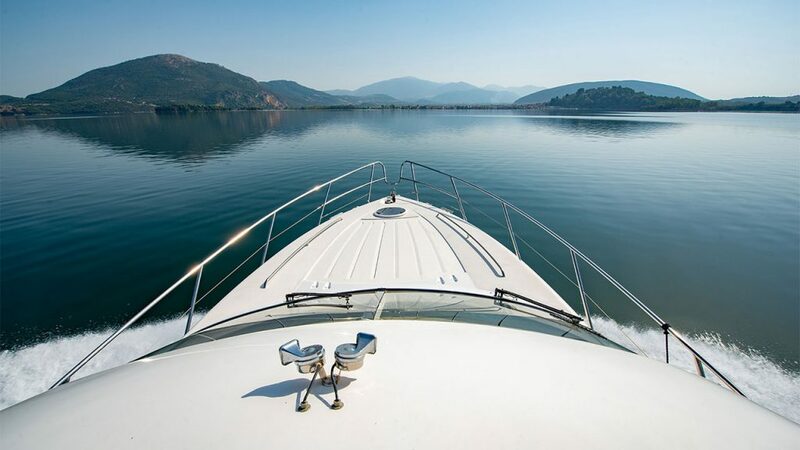 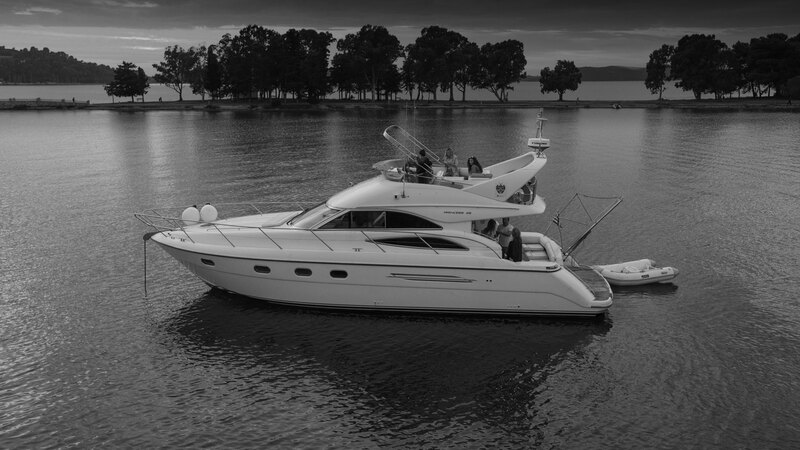 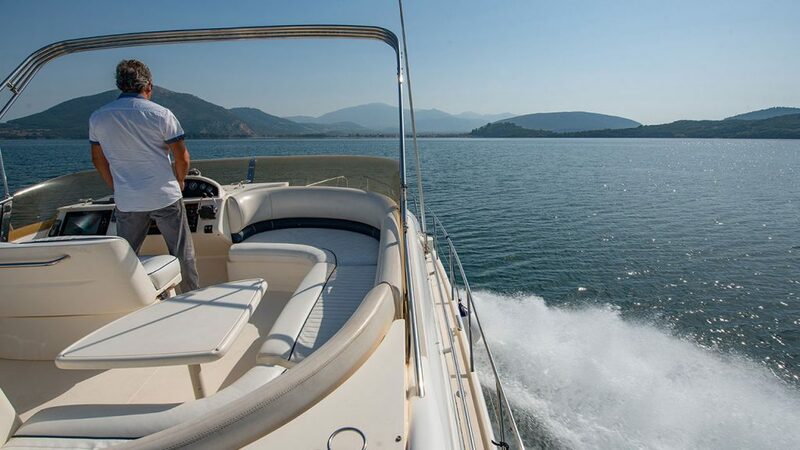 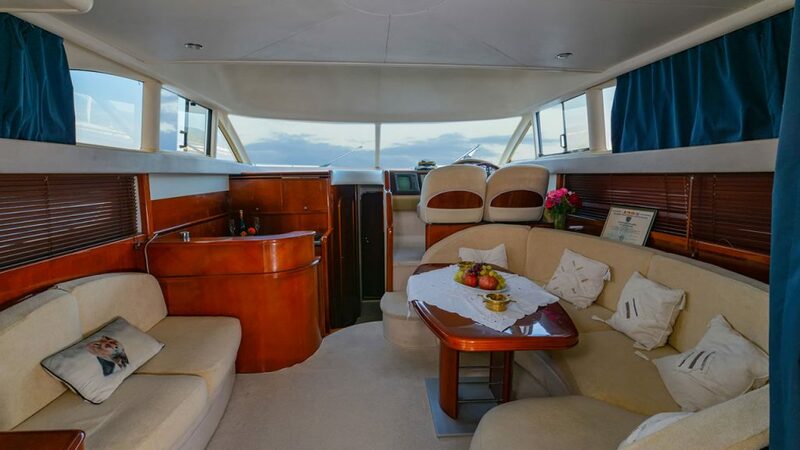 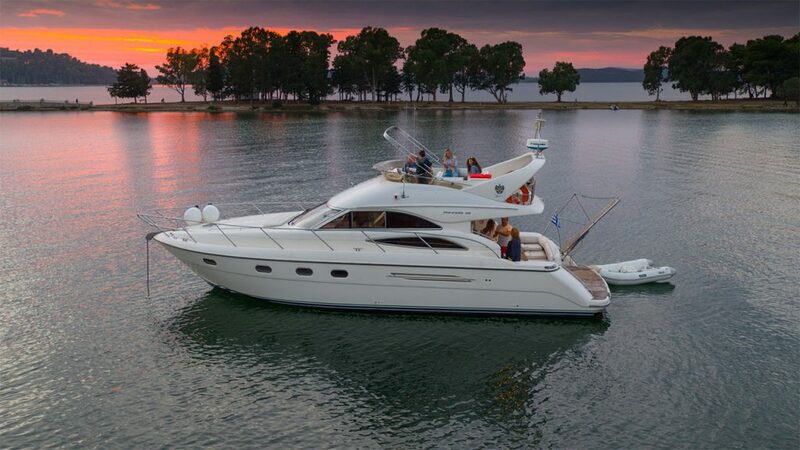 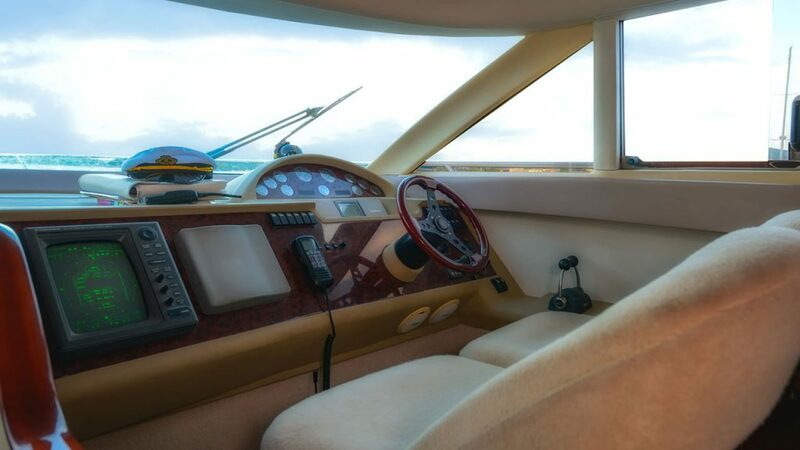 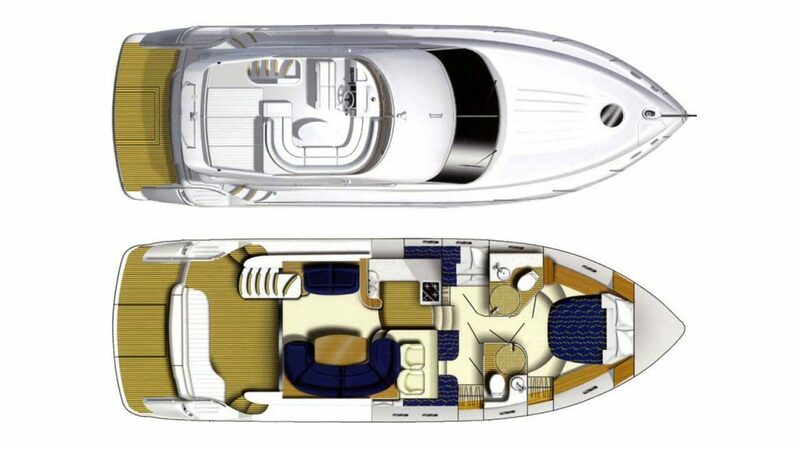 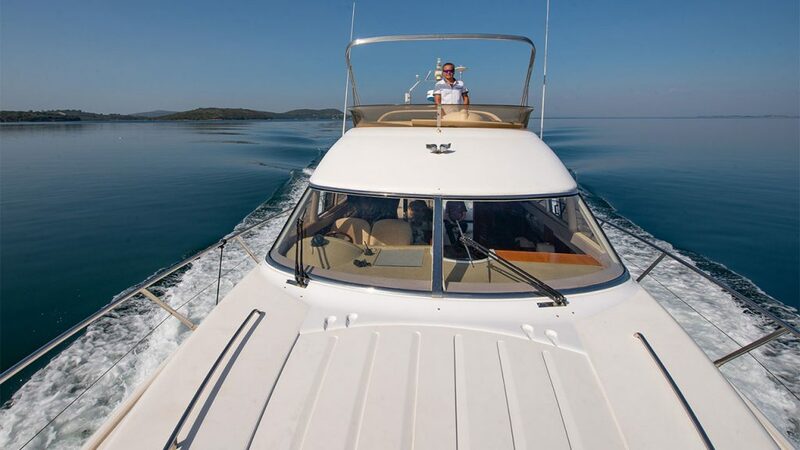 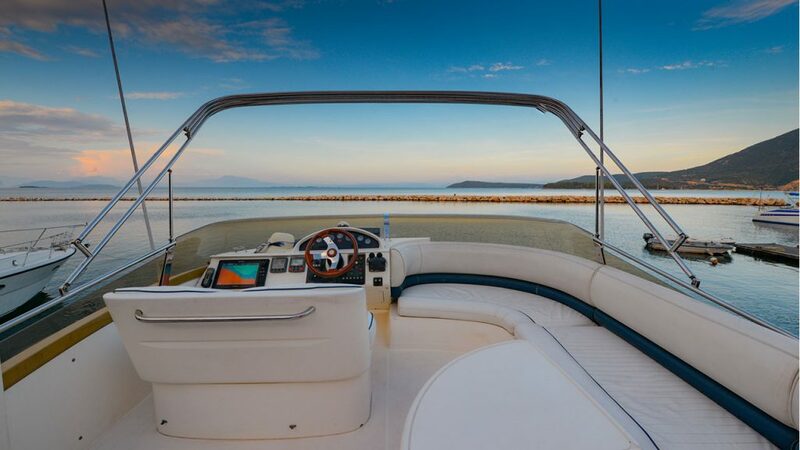 The Princess Motor Yacht 45 is a luxury fly bridge motor boat. 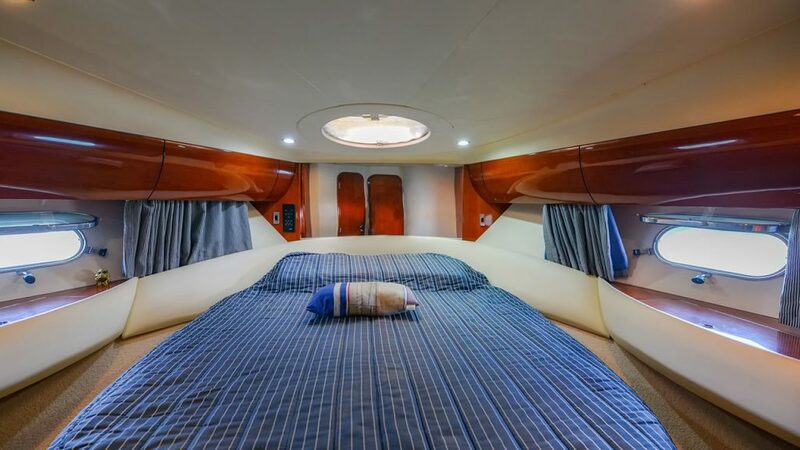 It has 3 double Bedrooms and 2 bathrooms. 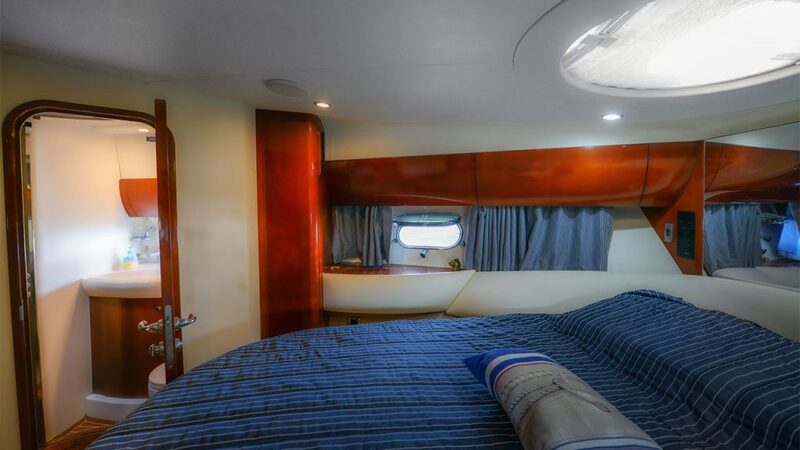 There are 2 double bedrooms with double beds (one of which is en suite); and 1 twin bedroom that has 2 single bunk beds. 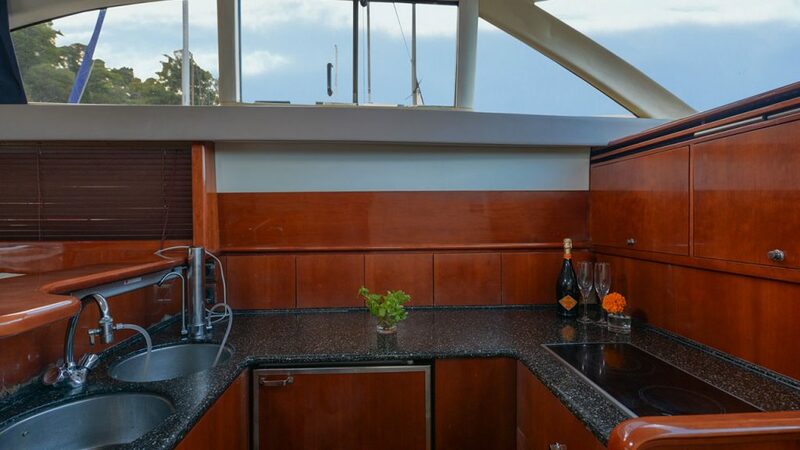 There is a separate kitchen; sitting room; and space to sit outside both on the salon level and the fly bridge. 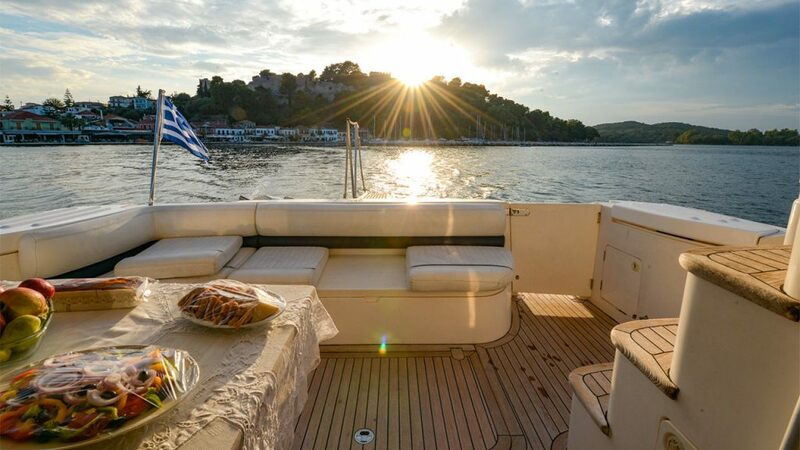 There are sunbathing cushions at the front of the boat for the sun seekers.